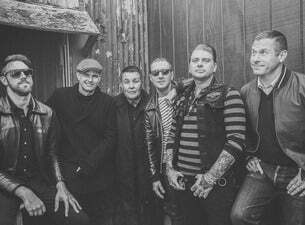 Since forming in 1996, Dropkick Murphys have gone on to become ambassadors for their city of Boston, playing sold out concerts at most of the city’s landmarks, including Fenway Park, TD Garden, the Boston Pops, and even the last voyage of the USS Constitution. They updated the Boston Red Sox anthem Tessie in 2004, which may or may not have had something to do with the team’s first World Series win in 86 years. They’ve sold a staggering 4 million albums worldwide with 2005’s “The Warrior’s Code” achieving an RIAA Gold certification and its smash single “I’m Shipping Up To Boston” nearing double platinum and appearing during a key moment of Martin Scorsese’s Academy Award-winning The Departed.